Sometimes, the truth is just too sexist to report. At least that’s the gist of this story at the Washington Post that rather bizarrely simultaneously continues to try to give Katie Bouman all the credit for the black hole picture, slams people saying anything differently as “sexist” and then notes she’s just one person out of a team of people responsible for the photo. I know, I know. That sounds BIZARRE. Yet, the title of it is, “Trolls hijacked a scientist’s image to attack Katie Bouman. They picked the wrong astrophysicist.” It also includes this video. Note the title of the video. 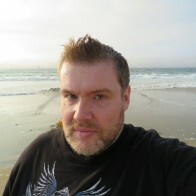 …In truth, singling out any one scientist in a massive, cross-disciplinary group effort like the Event Horizon Telescope’s project is bound to create misapprehensions. Many who shared an equally viral image of Bouman clutching her hands in joy at the sight of the black hole came away wrongly believing she was the sole person responsible for the discovery, an idea the postdoctoral researcher at the Harvard-Smithsonian Center for Astrophysics has tried to correct. I’m not going to beat up on Katie Bouman because she didn’t try to steal all the credit for the black hole image, but the “trolls” and “sexists” were closer to the truth than the Washington Post, Alexandria Ocasio-Cortez and the other people spreading the myth that Bouman deserves all the credit for this. 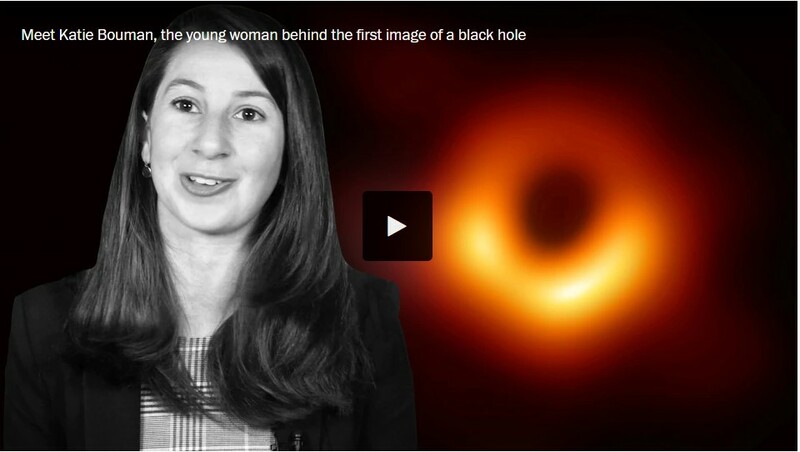 The reality is that Katie Bouman IS NOT responsible for the black hole picture. Saying that isn’t sexist, it’s reality. 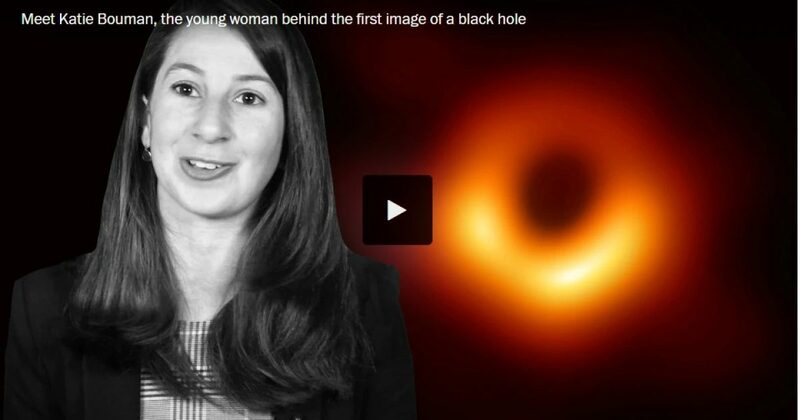 Her contribution is something she can proud of, but trying to turn her from a member of the team into “Super scientist Katie Bouman who took a picture of the black hole” because of GIRL POWER or “we need more women in STEM” is dishonest and it deserves to be called out.